Proven expertise in recruiting, assessing and qualifying candidates. Time. Energy. Money. When you’re sorting through CVs from jobseekers who don’t fit your needs, you’re wasting all three. Partner with Manpower, and our streamlined recruitment process for permanent placements will give you direct access to fully-screened and appropriately-qualified candidates, in every industry and at every level. It reduces time-to-hire, it’s more cost effective, and it delivers on-the-job success for the long term. When it comes to recruitment, a one-size-fits-all approach is never an option. That’s why we take every measure to get to know your business – your objectives, the areas where you’re seeing growth, the areas that might pose a risk. Combine this with our expert knowledge of UK employment trends, and you’ll benefit from a recruitment solution that’s tailored to your specific needs. And if you’re worried about making the wrong hiring decision, our temp-to-perm recruitment option will help you to be sure we’ve made the right match. You’ll see the candidate in action and develop a true understanding of their skills and capabilities, before transitioning them to permanent employment status. 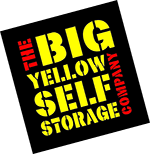 As a preferred supplier to The Big Yellow Self Storage Company, Manpower supplies permanent Sales Advisors to their 70+ locations across the UK. With a firm understanding of their business and a bespoke candidate pre-screening process, we're able to identify the right talent quickly and efficiently.